Orlando City started the season good, like the past year, but couldn’t find themselves for the majority of the season. Kaká retired from soccer the season before, which meant this was the first season ever in the MLS for Orlando to be without Kaká on the team. The Lions’ Season started with new players in the squad after the departure from Kaká. 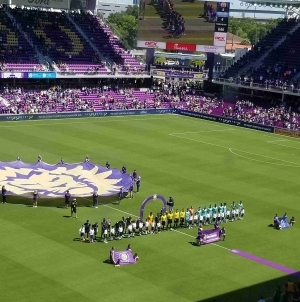 The new players were Mohamed El-Munir, Jose Villarreal, RJ Allen, Stéfano Pinho, Sacha Kljestan, Dom Dwyer, Adam Drinwis, Josué Colmán, Chris Mueller, Justin Meram, Oriol Rosell, Amro Tarek, Lamine Sané and Dillon Powers. The Lions’ first game was on March 3, 2018 and it was a home game against D.C. United. Orlando pulled a late winning goal to tie the game 1-1. The next two games against Minnesota United and NYC City, Orlando lost using the 4-3-1-2 formation which was not working for them at that time since against D.C. United they used a 4-1-2-1-2 formation, and they tied with that formation. 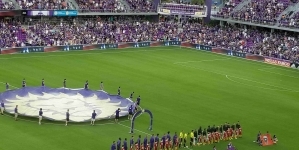 Orlando then went up against the NY Red Bulls, and they won 4-3 at home, which was a start of a winning streak for Orlando that lasted six games. The five other teams that Orlando won against were Portland, Philadelphia, San Jose, Colorado, and Real Salt Lake. Jason Kreis was fired as head coach for Orlando on June 15, 2018 and was replaced by James O’Connor. His first win was on July 14, 2018, where they went against Toronto FC and beat them 2-1. Orlando City tied for third place for the longest losing streak with nine losses in the MLS. On August 4, 2018, Orlando bought a defender Carlos Ascues from Alianza Lima, Peru. The Following game against Philadelphia, which was on September 18, 2018 in the U.S. Open Cup – Quarterfinal, the Lions started a winless streak until October 21, 2018. They broke their streak in the match against Columbus Crew at home and the Lions won 2-1 with a late winner penalty. 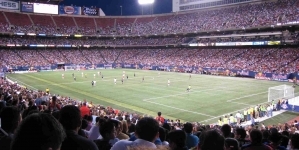 The last game of the season was after the Columbus game, which was against NY Red Bulls, an away game which the Lions lost 1-0. 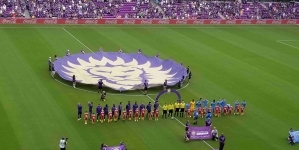 The Orlando record for the MLS season was 8-4-22 with 28 points for the whole season which resulted being the last team in the Eastern Conference. 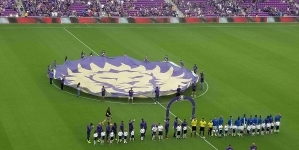 “I think, obviously, to make the playoffs that has to be the goal for the next season,” said James O’Connor, the Orlando City Coach, in an interview with the Orlando City website. “I think this season was not good because we had a head coach change in the middle of the season and O’Connor had players that maybe wouldn’t want for his vision because that was Kreis’ players, not his players,” said Fredrick Stuart, 23, a Valencia music major. “The season didn’t go our way this year. Unfortunately, we lost our star player, Kaká we replaced him with a [inexperienced] player who probably shouldn’t have done and replace him with an experienced player or another big player name,” said Aiden Villanueva, 24, a Valencia film major.